Fresh water makers are life support systems on oil platforms, FPSO's and FSO's, and need to be extremely reliable and robust with minimal operator intervention and maintenance. 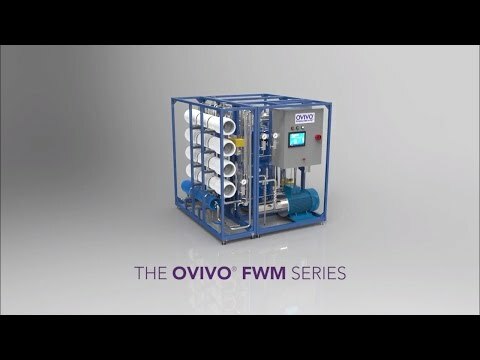 Ovivo FWM Series built around normal offshore engineering standards, materials of construction and manufactured with a standard compact and modularized design. 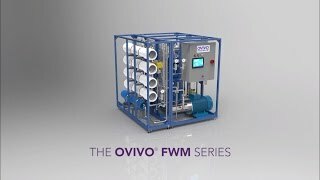 Ovivo’s fresh water makers are designed to meet the stringent criteria of Oil & Gas offshore facilities while still adhering to engineering specifications without sacrificing water quality. The quality of Ovivo’s fresh water maker meets all the major International and WHO standards for potable water. Through our heritage brand Caird & Rayner Clark, Ovivo has over 100 years experience in providing quality fresh water solutions. From early evaporative units on steam ships and naval vessels to custom-engineered, modern plants with the highest level of offshore specifications, including NORSOK. The experience and lessons learned from decades of working offshore have been refined into Ovivo’s range of superior offshore standard fresh water makers to give operators the reliability, strength and simple maintenance they demand.